Apply for P.S.1 Internship Program Fall 2009 Cycle! Published Wednesday, July 15, 2009. P.S.1 Contemporary Art Center offers hands-on internships for college students and recent graduates in all of its departments. Our internship program provides the opportunity to learn about the operations of a non-profit art institution and to work alongside some of the world's most exciting contemporary artists and curators. Intern candidates must possess a strong command of English, excellent communication skills, strong writing skills, word-processing skills on a PC-platform, and the ability to work and function in a creative and flexible environment. Most interns are based in one department but have the opportunity to interact with all departments on a regular basis. Our relatively small staff requires interns that are willing to do a substantial amount of administrative work while taking on more critical responsibilities for the institution's operation. All interns work on a volunteer basis for a full trimester with a schedule determined by the Intern Supervisor. P.S.1 requires interns to work a minimum of two full days per week (seven hours per day). It is the responsibility of applicants to retrieve information from their school concerning possible academic credit. Interns are required to attend field trips/lectures at non-profit institutions and museums in the New York area that have been organized by the Internship Supervisor. In addition, interns may be asked to assist staff with special events, public programs, and exhibition openings. All summer-fall cycle interns are required to work various Saturdays during P.S.1’s summer music series Warm Up. P.S.1 is unable to provide or assist with visas for foreign applicants. All applications must be received by August 10, 2009 in order to be considered for the Fall 2009 cycle. They must include a cover letter, resume, and official application form that can be found on our website. Late applications will be considered on a case-by-case basis. Start/End dates are flexible and must be discussed with the Internship Supervisor in advance. For more information about the internship program description and application, please visit www.ps1.org. The internship program is supported in part by the Milton & Sally Avery Arts Foundation. The Fiberarts Guild of Pittsburgh, Inc. announces the twentieth triennial juried exhibition FIBERART INTERNATIONAL 2010 at the Society for Contemporary Craft and the Pittsburgh Center for the Arts, Pittsburgh, Pennsylvania. Exhibition dates are April 16 through August 22, 2010. 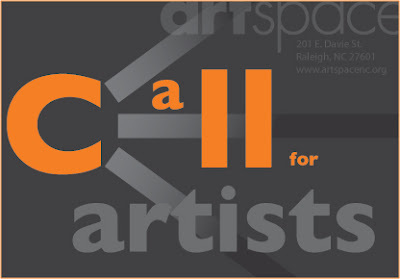 Artspace is seeking innovative proposals from artists working in 2-dimensional or 3-dimensional media for solo and/or group shows. 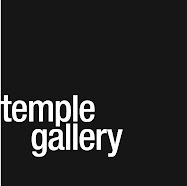 We have been recognized for presenting award-winning exhibitions in three exhibition galleries that feature regional, national, and international artists. Proposals are being sought for exhibitions through 2011. Our galleries are dedicated to challenging exhibitions by both emerging and established artists. Exhibitions run for 6-8 weeks with an opening reception being held during First Friday Gallery Walks. Most exhibits include a gallery talk or slide lecture presented by the artist. All exhibits are supported by press and insurance coverage and are free and open to the public. Works may be for sale however, Artspace does not place an emphasis on the sale of artwork but rather on the artistic quality of the work being presented. Artspace takes a small commission of 30% on works sold in our galleries. submit the below information via www.callforentry.org. Submissions will NOT be accepted in any other format. 10 images of recent work (completed within the last two years). Please include detailed information with each image including title, medium, dimensions, date completed, etc. Artist Statement (maximum 3000 words). $10 application fee (mail checks or pay online with a credit card). 1. Please begin your application online via www.callforentry.org You may utilize still images of your work. 2. Please send one cd/dvd with a maximum total playing time of 10 minutes. Video must contain a minimum of three segments completed within the last three years. Label cd/dvd and container with artist name, title of work(s), date completed, medium, full playing time. 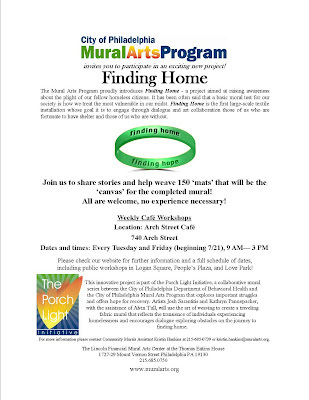 See attached for some more details, but the long and short of it is that I am orchestrating weaving workshops at safe haven/shelters around Philadelphia, as well as at other public spots.... to bring all together, those with and without shelter to weave many many 'mats' that will then be the canvas for the mural. Where? the shelter/cafe is at the se corner of 8th & Arch Street, Philadelphia. no need to rsvp, as I will be there and ready for many each day, but please do write it in your calendar, as I know how busy life gets! We're in the midst of our Summer Session of Adult Art Classes and we're starting to plan our Fall session, slated to begin on Monday September 14th. We are currently looking for teachers and we plan to finalize our course schedule by the end of July. We invite anyone interested in teaching a class to submit a proposal by July 24th. Email us for more information, or click here to download our prospectus, which includes specifications for the classes, and guidelines for the proposal. We are also beginning to plan ongoing 1-2 day workshops. If you have any ideas for workshops, please include these with your proposal. For more information about our current course offerings, visit our classes page. HEY! Do you want to know whats going on in Philadelphia? 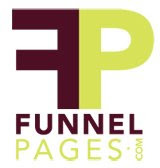 Well there is a website called The Funnel Pages which has lots of information about upcoming shows via Google calendar, calls for work and show reviews/press releases. There is also a blog, which ALWAYS needs more content! So if you have any pictures to share or want to write an article and put it on a fancier website, send it in! SEPTA is searching for dedicated young adults to serve on a council connecting high school and college students to the region’s public transit network. Composed of young riders from Philadelphia, Bucks, Montgomery, Delaware, and Chester counties, the Youth Advisory Council will be SEPTA’s primary outreach group to riders ages 14 to 22. Under the guidance of SEPTA’s Citizen Advisory Committee, the Youth Advisory Council will advocate student needs to SEPTA leadership. It will assist the Authority to create promotions, provide outreach to the region’s youth, and educate peers about SEPTA services and special events. Applications are now being accepted for this unique leadership experience. Ideal candidates are active SEPTA users who possess a strong familiarity with the system. If appointed, council members will be required to participate in 10 meetings a year, as well as other events and promotions, as announced. This is an exciting opportunity to represent your friends and peers and contribute to SEPTA’s mission to provide the best customer service for all ages. Questions can be directed to (215) 580-7478. The application deadline is July 29, 2009. Applicants must be at least 16 years of age and no older than 23 years of age. High School applicants must be entering or currently in their Junior or Senior year. Eligibility for appointment is dependent upon residency within the following counties: Philadelphia, Bucks, Montgomery, Delaware and Chester. This requirement can be met either through permanent residency, or as a student attending a college/university located within the aforementioned counties; proof of residence and/or admittance into an eligible college/university may be required. Appointment to the Youth Advisory Council is valid for one to two years, depending upon discretion of the Council; subsequent appointments are limited by age requirements. hey check out Matthew Damian Ritchie's new website: HERE! This course will investigate a selection of modern and contemporary artwork by artists of African descent (African American, Afro-Caribbean, and African). The course groups artists according to themes and approaches to art making, and also ways in which cultural continuity can be experienced across the African Diaspora through artists’ uses of pattern, material, and also concept. Some of the artists to be discussed include: Romare Bearden, Faith Ringgold, Betye Saar, Yinka Shonibare, and El Anatsui. We will explore the ways that the construct of race has impacted art practices, the training and education of artists, and the patronage and art historical treatment of artists of color. We will learn about artists' biographies and careers. Readings will include art historical texts and contemporary scholarship. We will take two field trips and have a visit by guest artist Lonnie Graham, 2006 Pennsylvania Artist of the Year and Pew Fellow. Please enjoy the art, and spread the word! has submitted work and joined our community. I hope you all like the website! 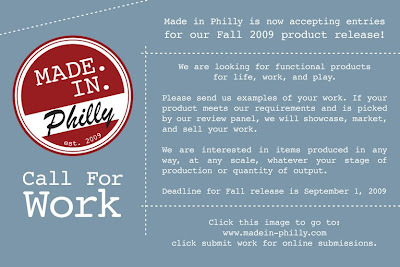 Made in Philly is now accepting entries for our Fall 2009 product release! We are looking for functional products for life, work, and play. Please send us examples of you work. If you product meets our requirements and is picked by our review panel, we will showcase, market, and sell you work. We are interested in items produced in any way, at any scale, whatever your stage of production or quantity of output. Deadline for Fall release is September 1, 2009. Go to www.madein-philly.com and click submit work for online submissions. Check our frequently asked questions and about us page for more information. The Kimmel Harding Nelson Center for the Arts in Nebraska City, NE offers 2- to 8-week residencies year-round for writers, visual artists, and music composers. Housing, studio space, $100/week stipend are provided. Approximately 50 residencies are awarded per year. Two deadlines each year: postmarked March 1 for the following July through December 15; postmarked September 1 for the following January through June 15. $25 application fee. --Visual artists work in one of three studios, two of which are approximately 425 square feet and one that is 258 square feet. The West Prize was launched in 2008 with the mission to find exciting new artists and adding them to the West Collection. In its inaugural year, the West annual acquisition budget of $125,000 was offered to ten artists. The flood of applications was unbelievable! In fact, 3,600 artists applied from 73 countries. West Collection curator Paige West had the job to go through all applicants and narrow the field down to ten innovative artists, but there were hundreds of fitting applicants in the application pool. The hope is that artists will continue to apply until they are acquired through the West Prize. The West Prize will again award the 10 finalists $10,000 each from the acquisition funds, which is used to add their work to the West Collection. The application deadline is November 1, 2009 and artists must be 18 years or older and can live anywhere in the world. All artworks submitted for consideration for the acquisition award must be valued at less than $10,000. One of the 10 artists will win the balance of the purse, or $25,000 in cash, as a stipend for concentrating solely on art for the next year. Additionally, a 10 Catalog will again been produced to document the 2009 winners. There is no fee to apply to the West Prize. In response to the high level of interest in the initial call as well as requests for more time, the Conflux Team has extended the “ConfluxCity” submissions deadline through Saturday, August 15, 2009. ANNOUNCING THE REBURBIA DESIGN COMPETITION! Dwell Magazine and Inhabitat.com are pleased to announce the first ever Reburbia competition: a design competition dedicated to re-envisioning the suburbs. With the current housing crisis, the sub-prime mortgage meltdown, and rising energy costs, the future of suburbia looks bleak. Suburban communities in central California, Arizona and Florida are desolate and decaying, with for sale and foreclosure signs dotting many lawns. According to the US Census, about 90% of all metropolitan growth occurred in suburban communities in the last ten years. Urbanites who loathe the freeways, big box stores and bland aesthetics stereotypical of suburbia may secretly root for the end of sprawl, but demographic trends indicate that exurban growth is still on the rise. In a future where limited natural resources will force us to find better solutions for density and efficiency, what will become of the cul-de-sacs, cookie-cutter tract houses and generic strip malls that have long upheld the diffuse infrastructure of suburbia? How can we redirect these existing spaces to promote sustainability, walkability, and community? It’s a problem that demands a visionary design solution and we want you to create the vision! Show us how you would re-invent the suburbs! What would a McMansion become if it weren’t a single-family dwelling? How could a vacant big box store be retrofitted for agriculture? What sort of design solutions can you come up with to facilitate car-free mobility, ‘burb-grown food, and local, renewable energy generation? We want to see how you’d design future-proof spaces and systems using the suburban structures of the present, from small-scale retrofits to large-scale restoration—the wilder the better! Enter the Inhabitat / Dwell REBURBIA competition, by sending up to 5 images and a statement about your design proposal. You can submit as many entries as you like, but each individual entry should be focused on one singular design problem/solution (i.e. a McMansion farm rehab, a bicycle transportation hub, a piezoelectric, energy-generating freeway paving system). Entries will be judged on clarity of idea, usefulness of design, and visual/aesthetic appeal of renderings. SEPTA : Art in Transit : Call to Artists. A call to artists is currently open for two stations in the SEPTA system. Download the Call For Artists Spring Garden Station package (pdf) for complete details and application instructions. Download the Call For Artists Girard Station package (pdf) for complete details and application instructions. SEPTA invites all artists living in the Greater Philadelphia area to apply for a public art commission. Artists are asked to envision permanent artwork that will be seen by tens of thousands of pedestrians, shoppers, residents, motorists and SEPTA riders commuting through or passing by stations each day. The Art In Transit Program is designed to incorporate art elements into renovation and construction projects for selected stations and public transportation facilities. The program allocates up to one percent of the construction budget of capitally funded projects for the design, fabrication and installation of permanent artwork. The purpose of the Art in Transit Program is to create a more inviting and dynamic transit environment for regular and new riders and to foster a feeling of pride within the surrounding community. "Toward a History of Artists'-run Spaces in Philadelphia,"
an illustrated talk developed in preparation for a text in to be inlcluded in a forthcoming publication planned as part of Vox's 21st Anniversary. Richard Torchia is an artist and director of Arcadia University Art Gallery, Glenside, Pennsylvania. Since taking the position there in 1997, he has curated one-person exhibitions and projects by artists such as Dave Allen, Olafur Eliasson, Amy Hauft, Candida Hofer, William Larson, Donald Moffett, Gerald Nichols, Paul Ramirez Jonas, Kay Rosen, and Beat Streuli. Working with a range of regional and international talent, and frequently collaborating with co-curators, he has developed thematic shows addressing issues such as the sited gesture, the peformative figure, the childhood drawings of contemporary artists, and the sea and cosmos as subjects for recent art. Prior to his tenure at Arcadia he was the inaugural curator of the Levy Gallery at Moore College of Art and Design (Philadelphia) where, between 1987 and 1995, he curated over 40 exhibitions featuring the work of Philadelphia-based talent. In addition to ongoing independent curatorial and editing efforts (including the first issues of "D Magazine" and recent monographs for artists Bill Walton and Tristin Lowe), he has contributed extensive essays for exhibition catalogs on the work of Gabriel Martinez (Samson Projects, Boston) and collaborative team Janet Cardiff & George Bures Miller (for their project Pandemonium at Historic Eastern State Penitentiary, Philadelphia). Since 1996, Torchia has been an adjunct professor on the graduate faculty of the Pennsylvania Academy of the Fine Arts and in 2003 initiated a course in curatorial practice that is now a standard offering in the art history curriculum at Arcadia. Since 1990 he has maintained an active artistic practice employing sited projections (often produced with the camera obscura) at venues in Philadelphia, across the United States, and in Europe. 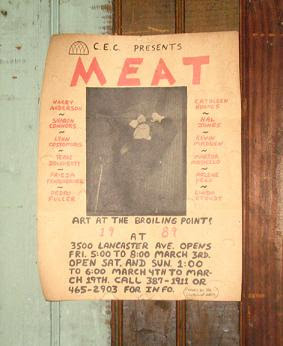 Image credit: Flier for the 1989 exhibition by MEAT at the C.E.C. in Philadelphia, PA.
Creative Capital showcases personal artworks by Mural Arts Program staff and instructors. The exhibition will include drawing, painting, mosaics, photography, printmaking, poetry, mixed-media, and more. Opening reception July 16th. Work on display through August 14th. For additional information, please contact Brian Campbell, Exhibitions Coordinator, at 215.685.0750 or gallery@muralarts.org. In keeping with its commitment to urban artistic exploration, community participation, shared knowledge, and critical civic engagement, Conflux will organize a user-generated open format event on Sunday September 20th, 2009 from 10am-6pm. Through an open submissions process, ConfluxCity will provide a platform for artists, urban geographers, technologists and others to organize and produce innovative activities dedicated to the examination, celebration and (re)construction of everyday urban life. Drawing inspiration from Burning Man’s creed of radical self-reliance and BarCamp’s philosophy of openness and participation, ConfluxCity will adopt an open-space approach in which participants will be expected to organize, promote, and host their own activities and events. To facilitate this format, the Conflux Festival headquarters and website will serve as a central communications hub directing festival attendees outward to individual event websites and locations. ConfluxCity participants must submit their proposal by July 20th ($10 administrative fee). All proposals will be judged based on artistic merit, originality, and feasibility. Once you’ve read the guidelines (below) and the participant agreement, please submit your proposal here. Participants in Conflux share an interest in psychogeography. Projects range from interpretations of the classical approach developed by the Situationists to emerging artistic, conceptual, and technology-based practices. For examples of past Conflux events, visit our archived website. Relevance: How does the event relate to psychogeography? Does its theme address issues central to classic psychogeography and/or propose new methods? Does the event take a unique approach to exploring, understanding, celebrating or changing the city? Participant Experience: How do Conflux attendees experience the event? Is the public experience well-thought-through? Does the event encourage dialogue between the diverse communities of New York City? Feasibility: Is the event’s scope reasonable? Does the event have its own funding? 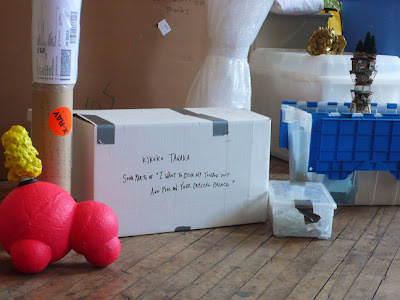 Can the artists travel to Conflux with their own funds? Only events that take place in the New York City area are eligible. They may be outdoors or in a venue you provide. Conflux HQ will be located at NYU Steinhardt’s Department of Art and Art Professions in the East Village (34 Stuyvesant Street). The HQ will feature a lounge area for visitors and space for event maps and flyers. There will be wi-fi at the HQ. We’ll focus heavily on events that are in downtown Manhattan, but we anticipate events happening in all five boroughs. In order to prevent excessive congestion at the headquarters, ConfluxCity events may not start or be located within or directly outside 34 Stuyvesant Street. However, we encourage you to locate parks and public spaces nearby that may be suitable for your event. For project materials/equipment, check out Freecycle and Wastematch. Conflux unfortunately is unable to provide any funding or material assistance for ConfluxCity events. If you have questions about the submission process, contact us. You may work with collaborators. The form includes space for the lead contact person’s information, as well as the names of collaborators. Please don’t send us updates about your project via email during the submission and curating period. If we have questions, we’ll contact you for more information. You’ll receive confirmation by email that includes your submitted information. Please keep this for your reference. If you’d like to submit more than one project, no problem, but please submit entries individually; each requires payment of the submission fee. You must agree to the participant agreement. Payment is accepted online via PayPal. Only proposals with associated payment will be considered for entry. Please submit your proposal here! 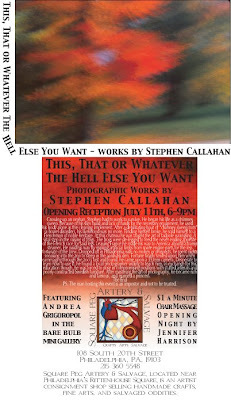 July 11th 6 to 9pm for all yous hep cats! Growing up an orphan, Stephen had to work to survive. He began his life as a chimney sweep. Because of his slim build and and lack of funds for the necessary equipment, he used his body alone as the cleaning implement. After a debilitating bout of “chimney sweep trots” (a bowel disorder), his livelihood was no more. Finding himself broke, he sold himself to a Frenchman of noble heritage. At this chateau he was taught the art of tadpole wrangling. A vital step in the raising of frogs. The frogs were de-legged to feed the never ending appetite of the French race for said legs. Leaving France he made his way to America aboard a tramp steamer. He paid his way by making artificial limbs from spare engine parts for the less fortunate of the crew. Dropped off in Philadelphia with no money or prospects, he spent nights sneaking into the zoo to sleep in the aardvark den. Fortune finally smiled upon him when rummaging through the zoo’s lost and found, he came upon a 35 mm camera. Desperate to learn how to use it, he found a local photographer willing to teach him. In exchange for this education though, he was forced to pose in compromising positions with stuffed animals and poorly constructed Swedish furniture. PS. The man hosting this event is an impostor and not to be trusted. Come visit on Friday, July 10 at 6 p.m. for the opening reception of VOX V, our fifth annual guest juried exhibition of emerging artists, curated by Ryan Trecartin and Larry Mangel. The URBZ MASHUP workshop facilitates creative explorations and cultural exchanges between cities and people. Dreams, myths and personal stories influence the destiny of cities as much as political choices and economic opportunities. They inspire architects and artists, stimulate activists and residents, and broaden the vision of the public and decision-makers. This workshop provides a space of expression for practicioners in architecture, planning, design, art, media, creative writing and other creative fields. It is based on the idea that the best way to make genuine breakthroughs in the way we understand, experience and create our cities is to stimulate collective imagination, by bringing together people from all over the world and all ways of life. The workshop provides a space to produce new images, narratives and insights about cities and urban life, using online tools, digital technology, personal experiences and professional skills. The first URBZ MASHUP will take place in Tokyo, hosted by Temple University Japan, in the first week of July 2009. The second one will be held at Istanbul Technical University in the first week of August, followed by Mumbai in November. Other workshops are planned in Rio, New York and Amsterdam in 2010. 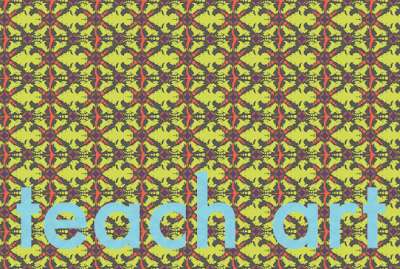 Each workshop will remix and mashup the material produced in other cities. 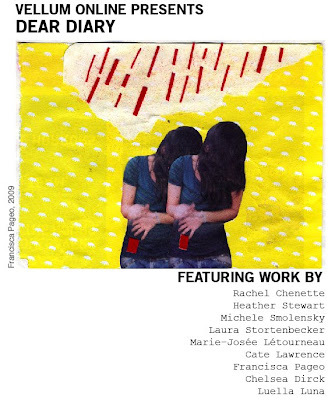 FLUXspace is pleased to present Three Headed, a collaboration between Kim Harty, Rika Hawes, and Charlotte Potter. 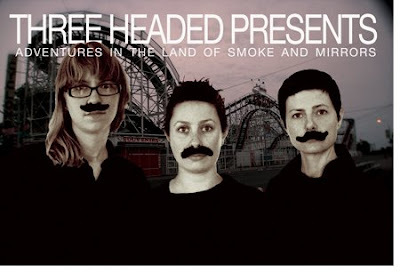 Their show, "Adventures in the Land of Smoke and Mirrors," opens June 27th from 6-10PM. The event is an experimental journey that explores the subversive nature of spectacle, pleasure and entertainment. Modeled after the structure of the carnival, it evokes such canons as the sideshow, burlesque theatre, and the circus. "Adventures in the Land of Smoke and Mirrors," also identifies with the Situationalist’s goal of setting up temporary environments towards the fulfillment of primitive human desires. Three Headed uses different optical, mechanical, and technological phenomena to inspire a viewer’s pleasure. "The goal of the show," says Harty, "is fabrication of spectacular representations which become interchangeable with reality." Evolving from Foucault’s concept of the Heterotopias, the artists create environments to transport the viewer to spaces that are both real and illusory, as well as mysterious and otherworldly. Adventures in the Land of Smoke and Mirrors," is your chance to take a ride on the Love Boat, travel the Mirror Maze, check out the Peep Show, test your skills in the Shooting Gallery, drink from the Fountain of Youth, view the Cabinet of Curiosities, and see the 3 headed adventurers in action.! FLUXspace is a Philadelphia based 501(c)3 contemporary arts space which provides artists, curators, and instigators the opportunity for unrestricted and uncensored experimentation, professional presentation, and critical dialogue for the purpose of exploring and creating new art practices and media. FLUX consists of an exhibition space, an artist residency program, as well as public programming including artist lectures, panel discussions, workshops, movie nights and performances.